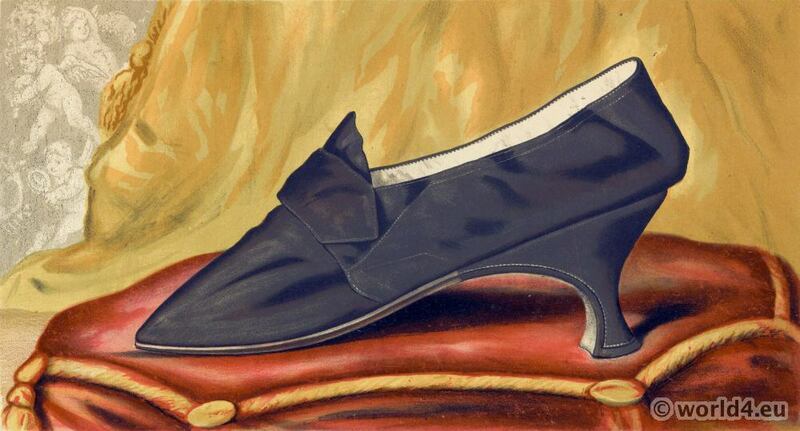 Home » Ladies old fashioned shoes 1885. 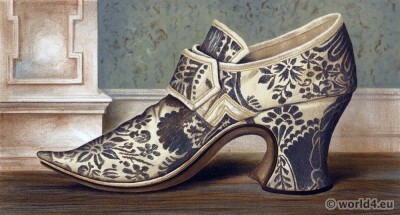 THE following Illustrations of Old Shoes are intended to preserve in an intelligible form what is fast crumbling into dust; and it has been my endeavour to collect the very best and most authentic specimens, as well as to show the variety of shapes and the excellence of the workmanship and design used by our ancestors. I have to thank Sir Bernard Burke; Sir Robert Menzies, of that Ilk; Mrs Bourne, of Breachoak; Mrs M’Queen, of Braxfield; and Messrs Cassell & Co., for their kind assistance. BY T. WATSON GREIG OF GLENCARSE. A Vice-President of the Literary and Antiquarian Society of Perthshire, &c, &c. With Fifteens Illustrations from Originals in his Collection. EDINBURGH DAVID DOUGLAS 1885. 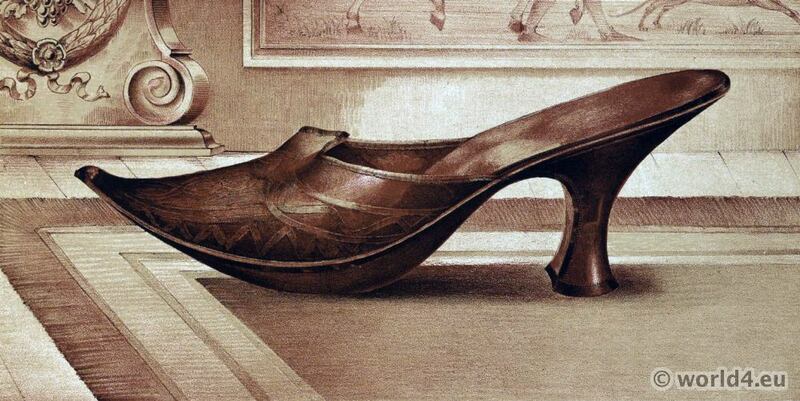 Shoe of unknown provenance. 16th century . Plate I. Shoe said to have belonged to Mary Queen of Scots. Plate II. Miss Langley’s Shoe. 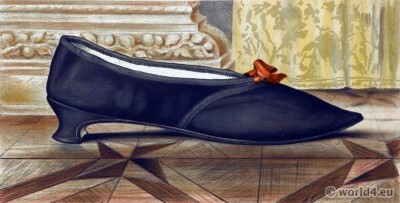 Plate III. Countess of Portsmouth’s Shoe. Plate IV. 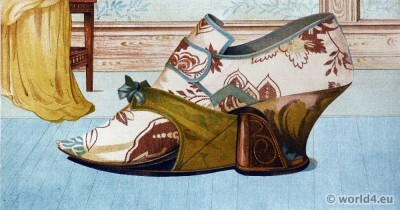 Mrs Woodcock’s Shoe. Plate V. Shoe of Lilias, Daughter of the 12TH Earl of Eglinton. Plate VI. Lady Mary Mordaunt’s Shoe (Black). 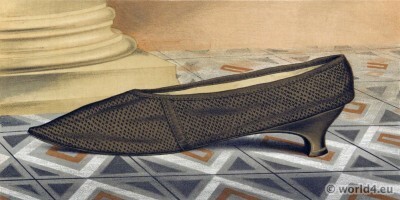 Plate VII. 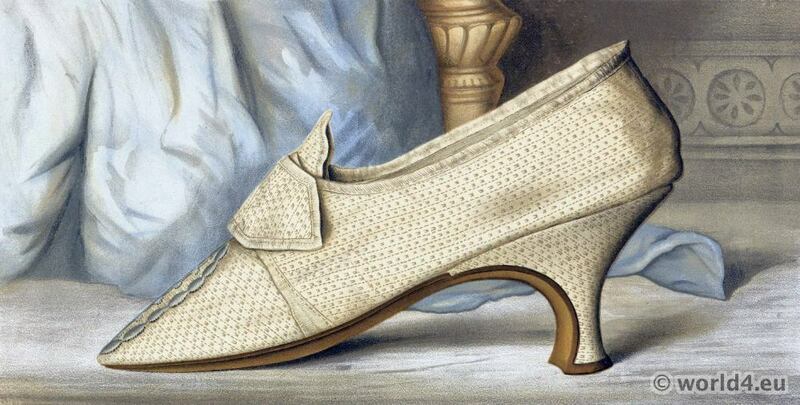 Lady Mary Mordaunt’s Shoe (Yellow). Plate VIII. Mrs Brown’s Shoe. 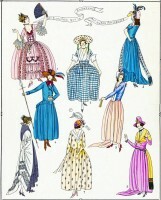 Plate IX. Unknown. (16th century Tudor fashion period). Plate X. Unknown. (17th century baroque fashion period). Plate XI. Unknown. 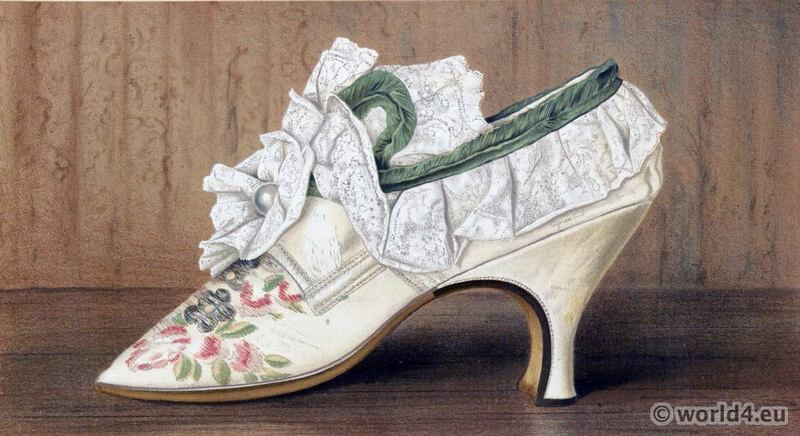 (19th century victorian fashion period). Plate XII. Lady Charlotte Fletcher’s shoe. 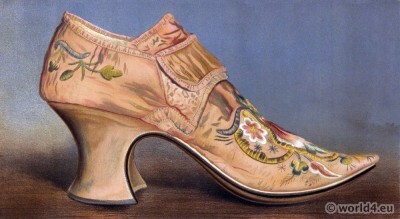 Plate XIII. 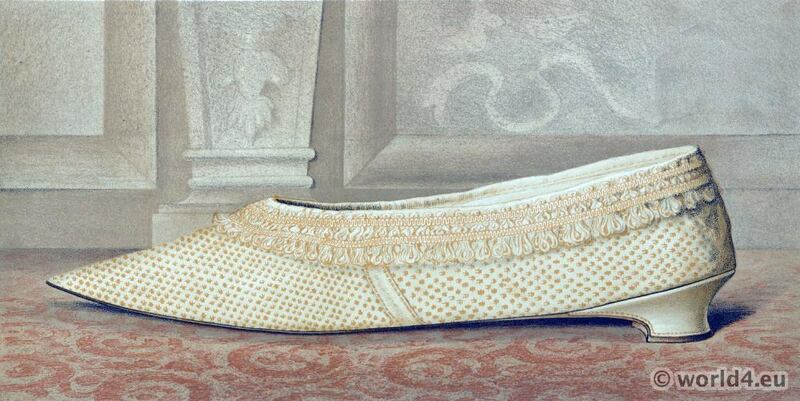 Marie of Lorraine’s shoe (Princess of Monaco 1674-1724). 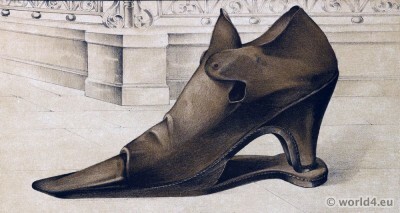 Plate XIV. 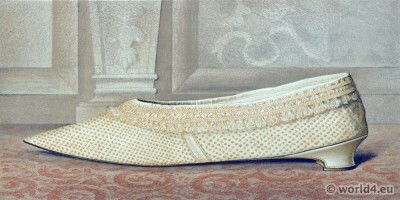 Shoe with moveable patten (Baroque period 17th century). 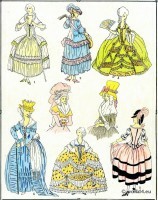 Plate XV. Marie of Lorraine’s slipper. 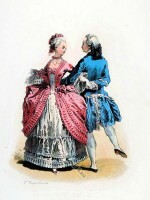 Marquis and Marquise dancing the Pas de rigaudon 1763. The Purse of Rob Roy, Toadstone Amulet. 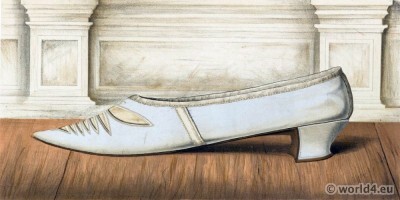 Round gown of fine callico. 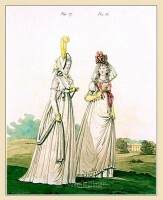 Regency fashion 1794. 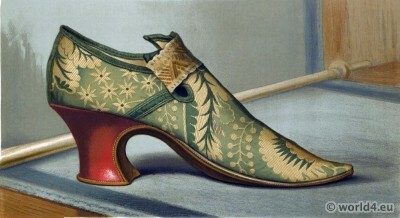 The Salon of Madame Récamier. French revolution fashion at Paris in 1794.